Have you ever thought about how many times you go backwards and forwards in the kitchen as you prepare food? The philosophy behind an ergonomic kitchen is to save you hassle since everything is within easy reach. Not only does this save you time but an ergonomically-designed kitchen can help you avoid all the bending and stretching which can be on a strain on your back, for example. Many of the ideas outlined below can be adopted without spending a great deal of money on totally refurbishing your kitchen. For those who wish to learn more about budgeting and everything about money, the Family Money website has a wealth of tips for every money-conscious householder. In the 1940s when kitchens were separate enclosed rooms, kitchen designers placed the emphasis on the triangle which was formed by the location of the sink, cooker and fridge. It was said this triangle shouldn’t surpass 6 metres. Nowadays, with the increasing popularity of open plan kitchens and the installation of worktop islands, this factor is less important. Instead, the emphasis is on separating the food preparation area from the part of the kitchen where you eat and/or entertain. In such kitchens, there should be 1050-1200mm between worktops and fixtures located on opposite sides. Any less and the room will feel cramped and give you insufficient room to open electric appliances like dishwashers and ovens, and any more than 1400mm is considered to be an inefficient use of valuable space. If you’ve ever banged your head on the hood of the extractor fan or suffered back pain from bending over low work surfaces, you’ll appreciate the importance of correctly-positioned kitchen fixtures. Consider your height when choosing worktops and if necessary, choose ones higher than the standard 900mm. Extractor fans over the hob should have a clearance of 600-650mm (depending on whether you use electricity or gas), but it could easily be reinstalled and increased to 700-750mm. Wall-mounted cupboards don’t have to represent a hazard if you arrange your kitchen equipment correctly. 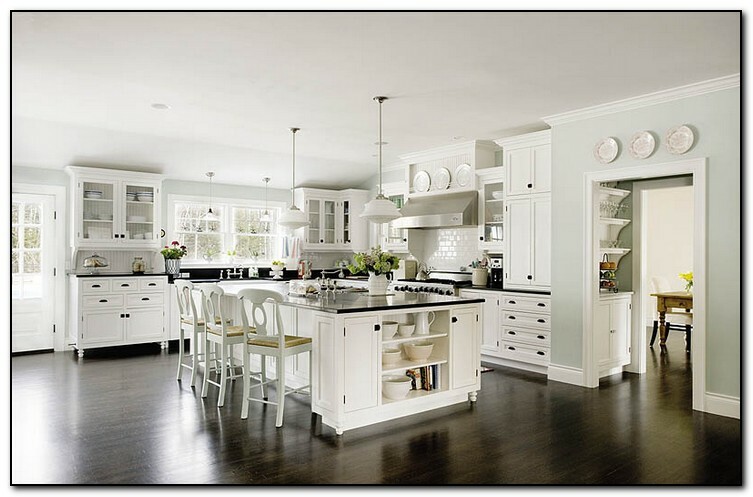 Kitchenware and utensils which are frequently used should be stored at waist-height. Alternatively, you could reduce the width of the cupboard doors or have your cupboards fitted with retractable doors or ones which are hinged at the top. The modern trend is to increasingly replace all kitchen cupboards below worktops with drawers on a roller system. In this way, you avoid the problems of trying to locate infrequently-used items which inevitably work their way to the back of the cupboard. As long as these drawers have enough depth and are constructed for maximum weight-bearing loads, even pot and pans can be stored in this way and found easily when the drawer is opened. Corner cupboards have long been problematic in kitchens. A great alternative is to install carousel-style shelves in these inaccessible units. Foodstuffs and kitchenware can then be easily located.